Imagine putting an end to inaccurate quotes, speeding up the bidding process and significantly decreasing non-conformance costs. These are key challenges in an industry where best-in-class players invest in integrated sales configurators. Many of these challenges are linked to the obstacles that sales professionals face when quoting complex products or services. 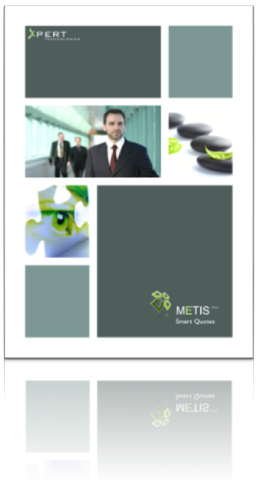 METIS Smart Quotes is designed for sales professionals and back-offices in organizations where quotes are time consuming and encounter complexity and risks (e.g. non-conformance costs). METIS Smart Quotes is available on and offline and contains snapshots of options, rules and prices from your ERP system (e.g. SAP, Microsoft DynamicsTM). Using the latest user interface technology from Microsoft and Apple, these snapshots are distilled into an appealing and indispensable application for quick, reliable and professional quoting.